Hi guys! Time for an easy peasy auction. 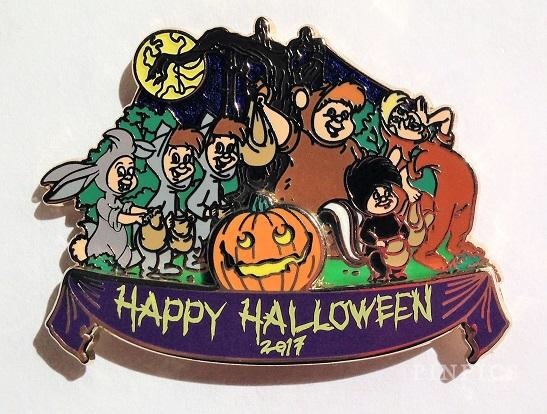 This Halloween pin features The Lost Boys from Peter Pan. It is #124336 on PinPics, LE 1000, from 2017. I’m really not going to be too picky, so don’t worry if your bid is small. This auction is open to everyone, but please note that if there is a US bidder and an international bidder with a similar offer, I am more likely to go with the US bidder because of shipping costs. Auction ends Saturday, October 13 at 8 PM PST.